Nordkredit is principally a networking group of North European Credit Risk Management companies (and their subsidiaries in other countries) who get together once a year to update each other with an overview of performance and trends for their company and country. Some of the 30+ company members in addition to Creditinfo Group of Companies are: Creditsafe Group of Companies, Experian, Equifax, Suomen Asiakastieto Oy, Syna AB, UC AB, Debitor Registret A/S, UC AB …to name but a few. After the first day of each company’s presentations, we took our guests on a city tour of Reykjavik and then to the Blue Lagoon for dinner. Some of our guests were so impressed they wanted to see more sites. Cato and his wife, Ane, from Creditisafe managed to even find time to visit “Monaco” and meet some very interesting Icelandic characters ….. for those of you not from the Reykjavik area, ask your Icelandic colleagues about it! Let’s just say it’s nothing like Monaco in France! Below is a photo Cato sent us of his visit. 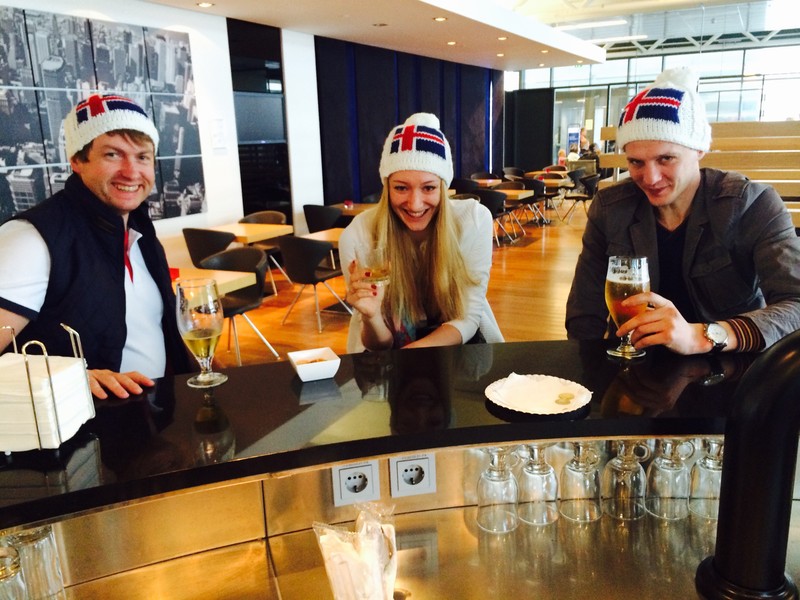 Andrius, Gerda and Aurimas from Creditinfo Lithuania also got into the spirit of the Icelandic culture.